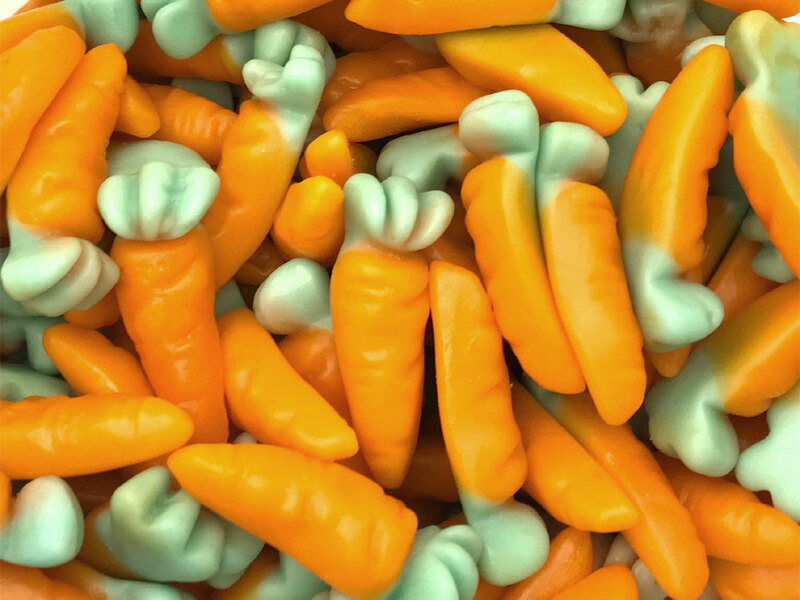 These carrot shaped jelly sweets are perfect for your easter egg hunt! 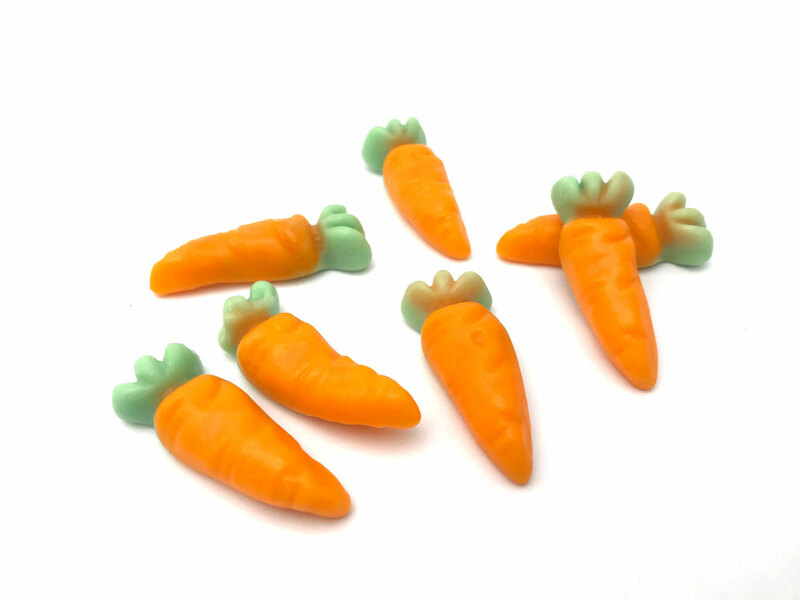 Or a good way for the kids to fool you into thinking they're getting 1 of their 5 a day! Glucose syrup, sugar, corn starch,gelatine; acids: citric acid; fruit and vegetable concentrates: spirulina, safflower; gelling agent: pectins; flavourings, vegetable coconot oil; glazing agent: beeswax, carnauba wax, colours: E160c.